From a dividend yield perspective, my individual account's dividend yield of 3.46% is well above the broader market. 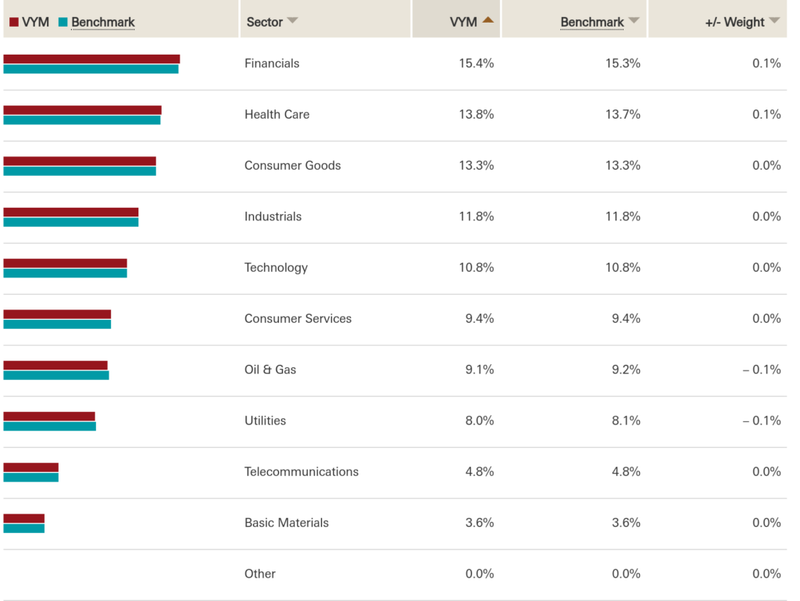 There are a lot of great banks that have increased their dividend in 2019 and have strong credit and capital metrics that I need to consider adding. Diversification will help me reduce exposure to my top 5 holdings, top 5 dividend payers, and becoming overweight in low-dividend growth sectors. For the first time on this website, I thought it would be a good idea to publish a review of my investment portfolio! Lanny has been doing so each quarter and we are discussing many of these metrics on a regular basis either when together or on the phone. So, I figured it would be a good time to sip on a cup of tea (notice no coffee today) and dive into some of the numbers. Before taking a look at the fun stuff, I thought I'd provide some parameters. Today's analysis will focus solely on my Traditional/Regular brokerage account. It will not include our families 401(k), HSA, or Roth IRA accounts. I am excluding the Roth IRA accounts due to the fact that the accounts predominately include REITs, utilities, and other high-yielding dividend stocks. Second, the analysis is taking place on March 6, 2019, during the day. The prices used to reflect the mid-day market. However, I do not plan on disclosing individual stock prices. Now, let the fun begin! Man, this portfolio is very close to joining the six-figure club. I would love to find a way to see this portfolio cross the $100,000 mark before June 30. That would be awesome. What caught me by surprise was the number of individual holdings in this portfolio, 33. It is easy in the heat of the moment to not realize how many holdings you may have. Especially when you find a new dividend stock that you want to add at a discounted price. But going forward, maybe I should consider internal purchase candidates rather than continuing to add new stocks. Don't forget, I have other accounts that are not included. So, the number of positions I have to monitor on a regular basis is starting to grow and could potentially become too burdensome. From a dividend yield perspective, my individual account's dividend yield of 3.46% is well above the broader market. As of today, the S&P 500 has a 1.93% dividend yield (per YCharts at the time of the article). Overall, that is a very nice premium compared to the market and I am happy to see that dividend yield. It is high enough to encourage investing in non S&P 500 mutual funds and ETFs while also offering a low enough yield to achieve solid dividend growth. Of course, I'll take a look at the dividend growth rate a little later on. Lastly, my largest and smallest holdings. Isn't it only fitting that the largest holding in my portfolio is Procter & Gamble, one of our Top 5 Foundation Dividend Stocks? Five years after Lanny posted that cornerstone article, it only makes sense that one of the five is the largest holdings. My smallest holding will NEVER be sold. I've mentioned this several times in the past but that was one of my first holdings. My grandma purchased the stock for me as a gift long before I was a dividend growth investor. I've owned this stock at its highs before the financial crisis and through the company's lows over the years. Finally, BAC seems to be turning the corner and has posted some nice dividend increases over the years. But for historical purposes, I'll never sell this unless BAC forces me too! Woah. I did not realize these five positions made up such a large portion of my dividend portfolio. I think that is very interesting and kind of eye-opening because that number seems awfully high to me. For those of you that would like to share, I would be very curious what this percentage is for your portfolio for comparison sake! Another few interesting tidbits are that four of the five companies in this listing are Dividend Aristocrats (all but NSC) and only one of the stocks were purchased in 2018 (LEG). So, for the most part, these are four legacy positions in my portfolio and they are concentrated in companies that have a long history of increasing their dividends. Just how I like it! It is crazy to me just how much LEG I purchased last year. I initiated a position early in 2018. Then, I proceeded to continue adding and lowering my cost basis as the stock price fell in the fourth quarter. I'm very happy I added when the price fell. Now, I am up 15% to date! Three of the five companies are overlaps with my Top 5 holdings. That really isn't surprising. Also, it is not surprising that AT&T provides me with the largest amount of dividend income. The company is currently yielding over 6.8% and I own 115.68 shares in this portfolio. This was bound to happen. The one thing that jumps out at me in the analysis is that these five companies account for 31.3% of this portfolio's dividend income. This was much higher than expected. Am I running outside screaming about this, no? But I would like to see this number decrease over the next few years. Why? Because as we know, thanks to Kraft-Heinz (NASDAQ:KHC) this year and Kinder Morgan (NYSE:KMI) in the past, dividend cuts can happen. And they can happen quickly. If one of these companies significantly reduces its dividend, it will greatly impact this portfolio's dividend income. I have to find a way to reduce this mark going forward and will continue to work to do so. Last, but not least, I wanted to review my portfolio's sector allocations. Sectors were determined using the classifications on www.finviz.com. I'm hoping this analysis will show me what areas I am overweight in and what areas I will need to continue adding to when prices are right. I then compared my weightings to the weightings to the Vanguard High Yield Dividend ETF (NYSEARCA:VYM) that Lanny has purchased in his Roth IRA for comparison purposes. These are the portfolio weightings per morningstar.com as of 1/31/19. Note: In my analysis, oil and gas is included in Basic Materials rather than split separately like in Morningstar. Added together, the weights are about the same. Am I surprised by these results? Not one bit. Over the years, I have always loved consumer staple stocks. I love strong brands and the legacies of these companies. Hence, over time, I have amassed large positions in these sectors. Seeing these figures are eye-opening because I didn't realize just how large the percentage was in my portfolio. My underweight sectors make sense as well. Lanny always made fun of me about my hesitation to add technology to my portfolio. I say I'm like Warren Buffett, and he just ignores me or shakes his head. But seriously, I need to start looking towards technology companies. There are plenty of great names out there! Healthcare and Financials are a different story. For healthcare, I have some holdings in other portfolios, such as JNJ and PFE. However, I don't really have any holdings in my traditional portfolio. The two major positions in this portfolio are CVS and ABBV. With CVS's stock price continuing to fall, this may be a great time to continue adding to this position (like Lanny with his last purchases). And I have not been shy about how I have built up my ABBV position over the last few months. Still, there is work to be done and there are other ways I can add to this sector. Financials are similar to healthcare. I own a lot of banks, insurance companies, REITs, and asset management in other portfolios. They just aren't held in this portfolio and I need to find a way to start adding to them here. There are a lot of great banks that have increased their dividend in 2019 and have strong credit and capital metrics that I need to consider adding. 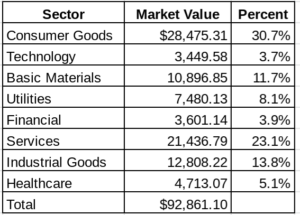 The problem with these three sectors is that… THE PRICES ARE SO DARN HIGH as of today (beginning of March). I'll add to these positions, but only if the prices are right. I will not overpay for the sake of diversification. However, this will be something that is constantly in the back of my mind as I run stock screeners, build watch lists, and identify potentially undervalued dividend growth stocks to purchase going forward. What have I learned today? About my portfolio, a lot. I still have a lot of work to do over the next several years. I am pumped that I have amassed such a large traditional/regular portfolio. However, it is clear that I still have work to do and have to continue diversifying my dividend growth stock holdings. Diversification will help me reduce exposure to my top 5 holdings, top 5 dividend payers, and becoming overweight in low-dividend growth sectors. I am so happy that I ran this and I am kicking myself for waiting so long to do this. I apologize for the long post everyone! All, I would love to hear your thoughts about my analysis above. Have you had similar issues in the past? Do your Top 5 holdings make up a significant amount of your dividend income? Are you over/under weight in certain sectors? If you were me, how would you approach becoming more diversified in this current market environment?